It’s no real surprise that when to comes to mobile devices with physical keyboards, Blackberry were the industry leaders. But despite this the company slowly declined, beginning with the company ending the use their own Operating System, and then not even producing devices, but using rebranded TCL devices (well hello, Alcatel Idol 4). The last Blackberry built device; the Priv, showed that the company could bring its famous keyboard to an Android device, without ruining the overall experience. We have one keyboard phone I promised people, It’s coming. We don’t know in what form this new keyboard BlackBerry will take, possibly a slider like the Priv, or mayhap the more classic BlackBerry shape of old. 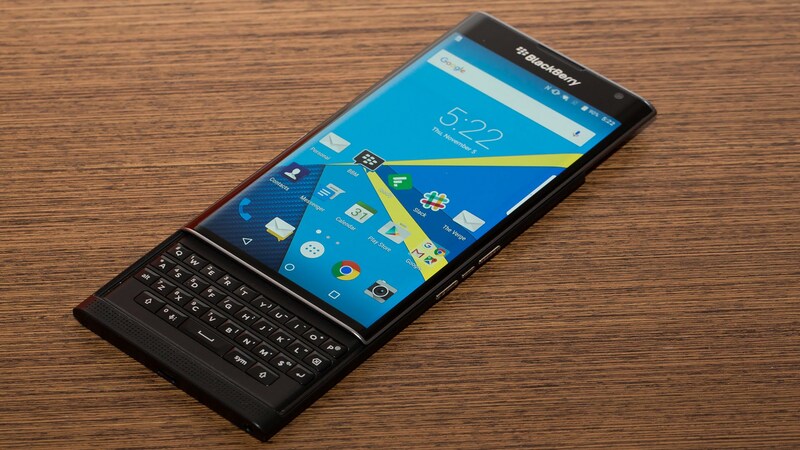 It was rumoured that Blackberry was producing a Passport type device that runs Android, but the problem being that Google’s OS was never designed to the run in the square environment that the Priv has. No matter how many pixels that the Priv can pack into that square, Android apps were never designed to work on that ratio. We can’t see Google adding that as a screen option now. Are you interested in a new keyboard device from Blackberry ?